Casting JonBenet is a sly and stylized exploration of the world’s most sensational child-murder case, the still unsolved death of six-year-old American beauty queen JonBenet Ramsey. After 20 years of media speculation and public fascination, audiences are presented with a docu-fiction hybrid examining the macabre legacy of the tiny starlet. For more than a year, the filmmakers traveled to the Ramseys’ Colorado hometown to elicit responses and reflections as well as auditions and performances from the local community for a faux-narrative film. In doing so, Casting JonBenet examines how this crime and its resulting mythologies have shaped the attitudes and behavior of successive generations of parents and children. Called “brilliant,” “audacious” and “utterly magnificent” ( The Guardian) and “a biting indictment of our age of true-crime tragedytainment ( Rolling Stone), Casting JonBenet may be the year’s most original documentary. Courtesy of Netflix. Kitty Green's debut feature, Ukraine Is Not a Brothel, premiered at the 2013 Venice International Film Festival and won the Australian Academy of Cinema and Television Arts Award for best feature documentary. 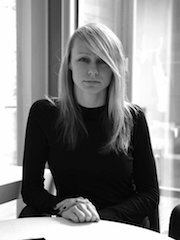 Her documentary short, The Face of Ukraine: Casting Oksana Baiul, won a Jury Award for nonfiction at the 2015 Sundance Film Festival and was then nominated for Best Short Award at the International Documentary Association and Cinema Eye Honors Awards.